Tony Blair was a unique politician. His charm and ability to persuade people were second to none. Once he was in full-flow his debating skills and oratory flair were commanding. He was also the Labour leader who moved the party’s philosophy from that of the left to right-of-centre. During his tenure Blair’s party was the first to win three successive British general elections for Labour. For a decade, from 1997 until 2007, he was in a position to mould the policies and structures of the United Kingdom. Yet despite all of the above successes his reign as UK Prime Minister remains severely stained by major weaknesses and a lack of a coherent plan while in power. Where did it all go wrong? Tony Blair was born in Scotland to an Irish mother and an English father. The patriarch of the household was Leo, a Tory conservative, who moved his family to Australia when Tony was very young only to return them back to Scotland three years later. Leo Blair was a law lecturer who switched careers to become a practising barrister. He also had political ambitions to run as a Conservative Party candidate. However, a debilitating stroke with a long period of recovery foiled those plans. 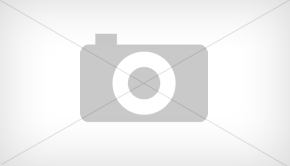 Tony Blair attended the famous Fettes College in Edinburgh. 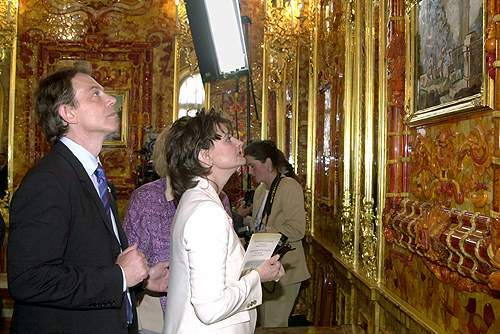 After initially impressing teachers, Blair became increasingly anti-authoritarian in his outlook and aspired towards being a rock star. The teachers’ initial impressions soon wore off and Blair even found himself being mistakenly arrested after being thought a burglar while trying to sneak back into his dormitory late one night. Blair’s laissez-faire attitude to life was brought into sharp focus with the death of his mother and it is thought that this loss caused a deep reassessment of his priorities and galvanised his resolve to make something of his life. It is arguable that the women in Tony Blair’s life provided the greatest source of influence. His mother Hazel, instilled a deep sense of belief in an impressionable young Blair. It was this self-assurance that he would later re-kindle as Labour came into power. His wife, Cherie Booth, would also play an instrumental part in driving her husband’s political aspirations. Nevertheless, it would be his close friend and confidant, Anji Hunter, to whom he would turn to seek political guidance. During Blair’s tenure as Prime Minister, Hunter would become one of the most influential women in the UK. She was Blair’s sounding board and his first port of call whenever he had policy ideas. Nonetheless, the woman who undoubtedly influenced Tony Blair’s policies the most was Margaret Thatcher. Her classical liberalism was imbibed by Tony Blair’s New Labour as he sought to completely rewrite the traditions of the left-wing party. 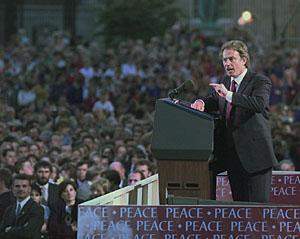 Tony Blair was a man plagued with doubt and poor self-belief prior to the general election of 1997. This was probably exacerbated by the absence of a coherent strategy for governance and a lack of knowledge of foreign policy. He also had no experience with bureaucracies and large scale organisations making the task of becoming Prime Minister even more daunting. The sweeping victory in 1997 changed all this and the doubts began to subside. Instead they were replaced with brimming self-confidence and an unchecked self-belief that would descend intro hubris as his premiership developed. It would be this almost unwavering self-belief that would underpin many of the Labour Party’s greatest mistakes during his reign. Tony Blair’s emerging self-belief became highly problematic when it merged with his management of the Labour Party and leadership style. Not one to stomach descent and averse to conflict, Blair decided to forego consultation with the wider members of his party. Instead he formed his own enclave around a few key individuals. Chief amongst his most influential advisers were Anji Hunter and Alastair Campbell. 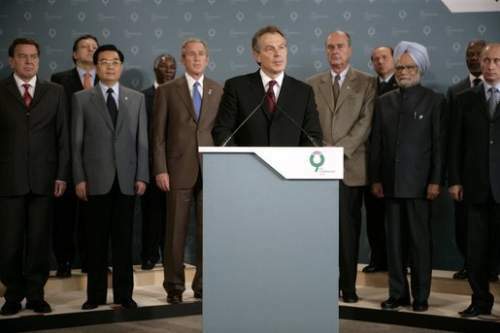 The biggest drawback to Blair’s group of policy makers was the lack of alternative thinking. Groupthink set in and this was a reason for one of Blair’s worst blunders, the Iraq War. Such centralised control and a dearth of input from other party colleagues meant that seeds of discontent were being sown and party dissent was growing. Tony Blair did not possess a great in-depth knowledge of history. One thing that he did understand, and something that would shape his entire tenure as party leader, was that the Labour Party had a great difficulty being re-elected for second terms. Blair came to believe that the public were naturally centrist and a left-wing party would find it very hard to complete more than one term in power. This realisation meant that Labour’s new leader was determined to shift the parties ideology from that of left wing to the centre. Military defense technology company, Qunetiq was privatised and the financial sector was deregulated further under what became known as the Abolition Of Parliament Act. This lack of financial regulation, a policy initially started by Thatcher, would later contribute towards the banking crash and the global recession. Nonetheless, Blair’s greatest deviation from Labour Party values came with his disastrous handling of the Iraq War. Tony Blair was always driven by practicality rather than ideology. He didn’t adhere to the textbook traditions of social liberalism, a doctrine that had been espoused by the Labour Party for decades. Nor did he wholeheartedly approve of liberalism and the dismantling of public social structures in favour of individualism. In the end, Blair’s policies can be best described as a fusion between the two tranches of ideology depending on which area best suited his aims. Acutely conscious of popularity and upcoming elections, Blair would dip into whatever philosophy was thought best for achieving his particular goal. 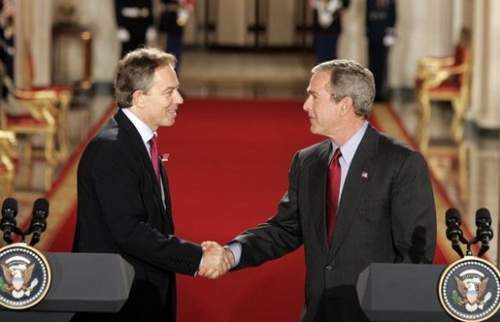 Practicality once again was at the forefront when the UK decided to back the US in its wars in the Middle East. The debacle of the Iraq War will forever be linked to the Tony Blair legacy. The Iraq War was a grave case of misjudgement both in terms of misreading the general public and the evidence supporting invasion. The UK was already heavily embroiled in the War in Afghanistan, a country that had little involvement with the 2001 terrorist attacks in the United States. The majority of the Great British public were against the Iraq War and just three per cent approved of the manner in which Tony Blair was handling the conflict in 2003. Blair’s reason for going to war were probably two-fold. He wanted to court domestic right-wing support and didn’t wish to alienate the United States. Another offshoot of the Iraq War that has severely sullied his image is the UK government’s secret support of the US policy of extraordinary rendition. Over 3,000 people were estimated to have been kidnapped, illegally detained and some tortured between the years 2001 and 2005. It is a measure of Blair’s hubris and misplaced confidence that he believed he could obtain European Union (EU) support for the Iraq invasion. This was something that furthered damaged his reputation among his European peers after his failure to get the UK to sign up to the Euro. Increased strain between Tony Blair and Gordon Brown started to emerge during New Labour’s first term. Brown was an ardent critic of Blair’s desire for Britain to become a eurozone member of the EU. Brown intensely disliked the new Prime Minister as he was peeved that Blair had succeeded in becoming Labour Party leader prior to the 1997 General Election at his expense. Even though Brown was a frequent critic of Blair he retained his position of Chancellor of the Exchequer through three terms. Blair’s failure to sack Brown, who was the main source of discontent in the Labour Party, was ultimately his political undoing and must be seen as a sign of weakness. Tony Blair didn’t understand the role of government. At its most basic, government is supposed to provide the conditions for economic prosperity. In times of harvest – surpluses must be squirrelled away for recessionary periods to support its citizens during hardship. Very few governments get this correct and Blair’s was no exception. Public spending under Tony Blair rose as he sought to consolidate his popularity. When the recession hit in 2008 the UK was ill-equipped to deal with the trade deficit hampering Britain’s ability to recover. Blair promised much when he came to power in 1997 but he failed to have a proper plan to implement once he attained power. Instead he merged Labour policies with Conservative philosophy. There became very little distinction between the two main parties. A blurring which benefited the Liberal Democrats in the 2010 General Election. Tony Blair’s further deregulation of the banking sector certainly added to the UK’s subsequent economic woes. His increase in social welfare spending during a time of growth only served to mask structural problems in Great Britain’s employment sector and further increased public debt. The failure that Tony Blair will most be remembered for is the Iraq War and dragging a party noted for its social liberalism into foreign conflicts. Great Britain’s apparent complicity in extraordinary rendition further cements the notion that Blair’s reign as Prime Minister was an opportunity lost. 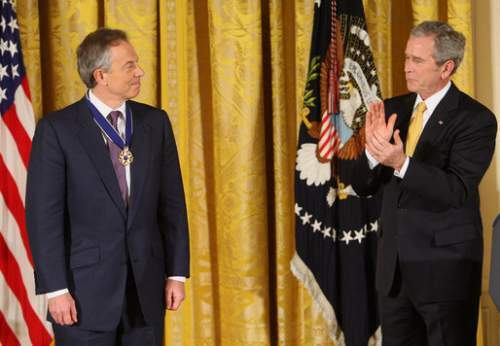 You might wish to check out Yellow Magpie’s Tony Blair Quotes: The Man Who Took Labour To The Right, Margaret Thatcher: A Costly Legacy, Barack Obama: New Leader Filling The Void and George W. Bush Quotes: Bushisms. A Journey is Tony Blair’s own autobiography giving his thoughts and opinions on his actions in government. While Blair by Anthony Seldom is a non-biased account of those actions and the people who provided the greatest influence on his political career. Though not the latest edition of Seldom’s documenting of the Blair years it provides a more cohesive framework and arching narrative than his latest volume, Blair Unbound. You can obtain A Journey: My Political Life and Blair here from Amazon. For people living in Ireland or the United Kingdom, you can access: A Journey and Blair from here. For Canada: A Journey and Blair . For Germany: A Journey and Blair . For France: Journey and Blair .